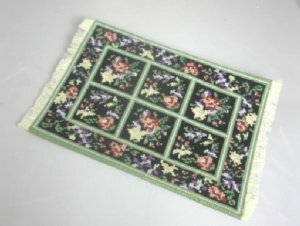 Hand stitched needlepoint rug in floral design with black background and green borders. Approximately 4 1/2" x 6 1/2". Hand crafted in the U.S. by Shirlee Cornwell.